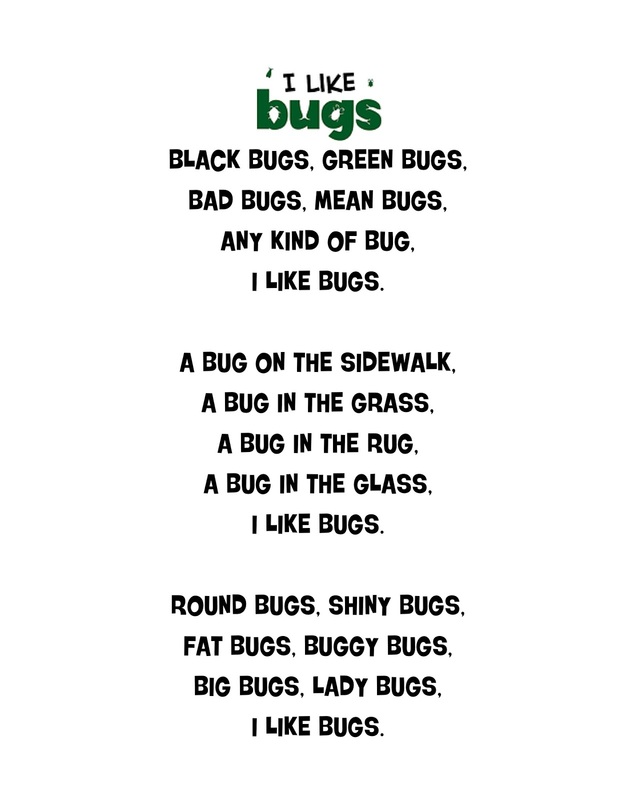 Since we did the Earth Day poem last week with the Dot and Jabber story.... we decided to go ahead and do the "I Like Bugs" poem this week since we are not doing a story from Treasures (very busy week--field trip, Take Your Child to Work Day, Early Release Day). I am going to have the kids create Finger Print Bugs!! 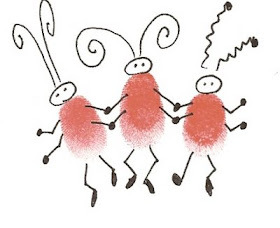 It's cute and it's simple! I love this poem, and the finger painting idea. 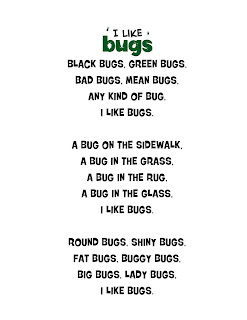 We are studying insects right now AND adjectives so this poem is perfect. I love it! That is sooo cute!